Much analysis of Israeli apartheid focuses on comparisons with South Africa. Al-Shabaka Policy Advisor Samer Abdelnour argues that the specific characteristics of Israel’s unique brand of apartheid need to be better understood in order to successfully dismantle it. He identifies three inter-locking dimensions of Israeli apartheid: physical, architecture, and ideological. Examining apartheid through these dimensions, he reveals Israeli apartheid to be far more sophisticated than that of South Africa and suggests directions for thinking and action to overcome Israel apartheid. “Israeli Apartheid” is a commonly used term to describe the racial violence and segregation enshrined in Israel’s institutions. 1 Though Israel’s most ardent supporters will continue to resist the rhetoric of apartheid, the reality of apartheid in Israel is unmistakable. But, what exactly is apartheid? And how might we understand Israel’s apartheid system? Apartheid is a complex system of racial violence, segregation, and dispossession. The roots of apartheid are colonial; Europeans have long used apartheid practices to devastate the indigenous peoples they colonized and Europe’s “undesirables” alike. Modern apartheid systems, like South Africa and Israel, evolved from historical practices of mobility restriction and internment. Just as Afrikaners learned from Canada's reservation system in the early 1900s 2, Israel implements practices reminiscent of apartheid-era South Africa. Given Israel’s strong support to apartheid-era South Africa and stark similarities between South Africa’s apartheid policies 3 and Israeli practices today, it is understandable that South Africa’s experience grounds analysis of Israel’s occupation of Palestine. Similarly, anti-apartheid activists replicate tactics reminiscent of those used to pressure the South African apartheid regime, most significant being strategies of Boycott, Divestment, and Sanctions (BDS). Though similarities and shared histories between Israel and South Africa certainly exist, overreliance on comparisons may prevent a full appreciation of Israeli apartheid. Notable differences include the role and agency of indigenous labor. For example, South Africa was and continues to be dependent on black labor in sectors such as mining, which at times enabled meaningful mobilization in opposition to state practices. Today, although Israel is overall less dependent on Palestinian labor, settlement construction continues to be a significant employer of Palestinians. However, because settlements do not constitute a key generator of Israeli income (rather, they are highly subsidized by the state) it is difficult to envision how settlement-related labor mobilization might pose a threat to Israel. Similarly, Palestinians are captive markets for Israeli goods and produce, not the other way around. Another difference relates to many political dialogues and agreements between Afrikaners and anti-apartheid leaders that concluded with an end to apartheid policies. 4 In the case of Palestine, the clear outcome of agreements has been the advancement of segregation and Palestinian dispossession. More seriously, the Palestinian Authority has become an important player in apartheid, as indicated by Israeli-Palestinian “security” coordination and recent threats made by President Abbas that he will hand the “keys” of the West Bank back to Israel. Though Abbas’ intent is to force Israel to face its responsibilities as an occupying power, it does imply that in absence of a genuine process of national independence the Palestinian Authority holds a central administrative position within Israel’s apartheid system. Further, in the case of South Africa the international community eventually came to exert extreme pressure to end racial segregation within a one-state solution. In Palestine, the international community appears ready to support “statehood” without any serious contestation of Israeli apartheid. The “constructive engagement” mantra and the two-state solution are distracting myths that permit continued colonization and ethnic cleansing in Palestine. They also allow the U.S., EU, and Canada to continually reaffirm their support for apartheid through political rhetoric, military subsidies and contracts, trade agreements with Israel, and corporate profiting from colonization and occupation. Moreover, under apartheid in South Africa, Bantustans were established as the means to confine Africans to “homeland” areas. Regardless of their spatial similarities, Palestinians today are actively denied homeland; doing so would go against the very ideologies of Zionism and circumvent Jewish colonial-settler expansion. In Israel today, apartheid thrives through sophisticated bureaucratic, market, and military institutions superior to those of the South African apartheid era. It also receives unprecedented subsidies in the form of U.S. military support and humanitarian aid. The consequences of miscomprehension are significant; they may hinder thoughtful assessment and critique of existing strategies (such as BDS), and prevent the development of new strategies for securing Palestinian freedom and return. Though a considerable amount is known about Israeli apartheid, the overall system of apartheid remains a “black box” where much is hidden and misunderstood. I propose three dimensions for a more comprehensive understanding of apartheid: physical, architecture, and ideological. The physical faces of apartheid are those interface elements that are readily apparent and measurable. 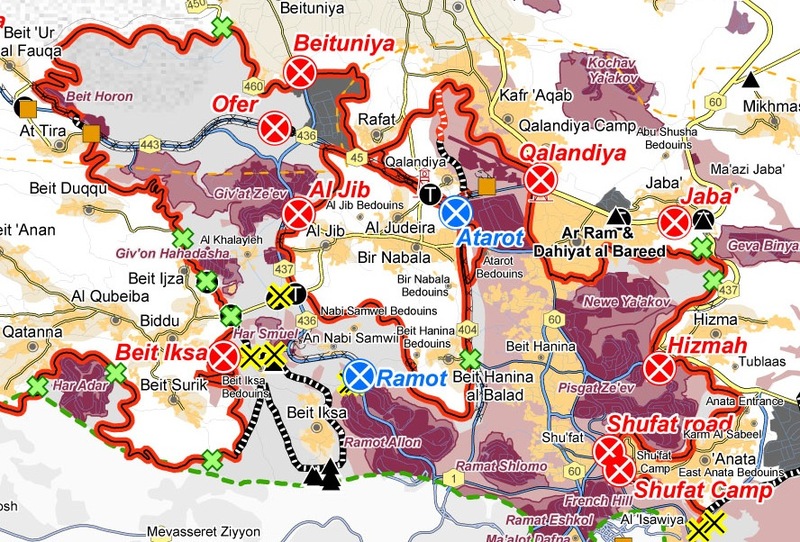 They come in the form of violence, destruction, and physical division: concrete and metal, including checkpoints, prisons, settlements, settler roads, walls, “security zones”, tanks, tractors, bull-dozers, drones, and bombs. In addition, the physical manifestations of apartheid classify and divide: paper and digital permits, ID cards, databases, surveillance systems, visas, evacuation orders, legal notices, applications, vouchers, deeds, and related techniques of classification and categorization. People and the organizations they work in are another tangible face of apartheid. These include Israeli military forces, judges, settlers, police, agencies such as the Jewish National Fund, as well as Israeli and multinational corporations and their related products and services. In addition, they include Israeli industries such as “security”, and universities when access to education is segregated, Palestinians are prevented from traveling to attend university, or research contributes to war crimes. These physical elements enact the violence that governs the lived experience of Palestinians under military occupation and in exile. We know much about this dimension of apartheid because it horrifies us, captures our attention, can be counted and classified, and is shared widely through social media. It is also politically legitimated, not only by the various apparatuses of the Israeli state including settler politics and the military, but also by a frustrated and helpless Palestinian Authority (such as proclamations of statehood from a small piece of Bantustan Palestine). Although understanding the physical elements of apartheid is extremely useful, it is also important to investigate the architecture that produces and sustains them. The architecture refers to the regulatory, political and economic elements of apartheid. These legitimate Israel as a nation-state through international law and trade agreements. They are also legitimated by Israel’s legal and military apparatus, including political as well as economic mechanisms that foster marginalization and segregation (such as settlement economies and subsidies). The architecture of apartheid is extremely elusive; it cuts across multiple sectors and the connections between these often remain unclear. For example, from a macroeconomic perspective the Israeli economy is wedded to weapons development. Today, Israel’s “security” industry is the 6th largest globally, and is securing an increasing number of contracts with European and African states. Given the magnitude of Israel’s engagement with weapons research, sales and use (such as those deployed on captive Palestinian populations), a deeper understanding of connections between this industry and the physical elements of apartheid is imperative. It is also important to further expose links between military technology research and the occupation (such as surveillance technologies and drones). A comprehensive mapping of apartheid’s architecture requires articulating the relationships among Israeli institutions, corporations, civil society, and apartheid. Considerable research has already been done on the subject. For example, the BDS movement and Adalah NY have explored the contributions of Israeli universities and private corporations to the occupation, and such research informs arguments and calls for boycotts. Yet research must also seek to better understanding the overall architecture of apartheid in order to expand the basis of effective anti-apartheid action (be it legal or political action, and various forms of boycotts). One such approach is that offered by feminist sociologist Dorothy Smith, what she terms “institutional ethnography.” 5 Her approach seeks to uncover those governing institutions that classify and control the lived experiences of people, through a mapping of the texts that they encounter. In the context of apartheid, for example, texts include permits and other means of classification, surveillance, and control. By mapping the movement of texts, and importantly all associated work, a fuller appreciation of apartheid’s architecture can be had. Similarly, a supply-chain approach may help to uncover the suppliers and services behind the construction and maintenance of the physical elements of apartheid, such as checkpoints or settlements, the use and expropriation of lands, or banks and financiers. One can imagine how these or other approaches might be useful for uncovering the architecture of apartheid. Such investigations may prove both challenging and disturbing, given the extreme level of integration and dependencies between Palestinians and Israelis. Though physical elements by their very nature convey separation and oppression, the architecture that produces and maintains these may reveal the opposite. The use of the Israeli Shekel and dependency on Israeli goods and services (given the intentional destruction of Palestinian productive capacity) are but two of many examples. Moreover, the vagueness inherent in apartheid’s architecture raises significant questions for reflection and anti-apartheid action. For example, if an Israeli bank is involved in transferring funds or providing services within a settlement, are all account holders or even transactions of that given bank complicit in apartheid? And if the answer is yes, what is to be done about it? Similar questions can be asked of countless relationships embedded within apartheid’s architecture. More than political and economic, they exist as the ideologies that legitimate colonization as well as racial segregation and violence. Much is known about the ideologies of apartheid and there are many “isms” to describe these, including: racism, colonialism, many forms of Zionism, religious fundamentalism, and neoliberalism. Like the physical elements of apartheid, ideology is highly relevant to apartheid’s architecture. Yet unlike the physical, ideology is intangible and thus difficult to measure, particularly because features of multiple ideologies may readily intertwine; for example, Israeli settlers embrace elements of Zionist colonialism, racism, religious fundamentalism, and militarism. Yoav Shamir’s film Defamation offers a clear picture of the importance of ideology for shaping the Israeli imagination. Fear, as Shamir demonstrates, is a significant means for exploiting the perceived vulnerability of Israelis. Fear works with combinations of the above-mentioned ideologies to justify racial violence and segregation in all forms. Thus, for many Israelis violence is necessitated by the existential “threat” Palestinians pose. So embedded is the demonization of Palestinians in the ideologies of apartheid that any expression of Palestinian agency is seen as a threat to Israeli national security. A pregnant Palestinian woman is a demographic threat. Criticisms of Israel, including campaigns such as BDS and Israeli Apartheid Week, are a threat to its legitimacy. Even Palestinian cultivation of za’atar was once considered an ecological threat. The psychology of Israel’s self-induced psychosis perpetuates an industry of fear that underpins Israel’s fixation with its own “security” and the insecurity of others. The way ideology can blind nations was revealed during the August 2011 Tel Aviv protests, when hundreds of thousands of Israelis demanded domestic justice and equality while wholly ignoring the most discriminated in Israel. They include Palestinian Bedouins struggling to maintain lands and traditions under forced expropriation, and “Arab” (Palestinian) citizens of Israel entrenched within Israel’s structural discrimination. More disturbing, ideology prevents a majority of Israelis from seeing a human Palestinian Other. For example, during Israel’s 2008-9 bombardment of Gaza the Israeli Agriculture Ministry announced emergency medical services for Israeli pets and street animals traumatized by “rocket-fire”. At the same time, the Israeli military massacred over 1,400 Palestinians, many burned by white-phosphorous bombs, with overwhelming Israeli public support. What kinds of ideologies permit such convoluted humanitarianism? Of course Palestinians are not the only people in Israel subject to dehumanization and racial violence. An emergent issue—and a potentially significant front for the struggle against Israeli apartheid—is the violence directed at African migrants and refugees. 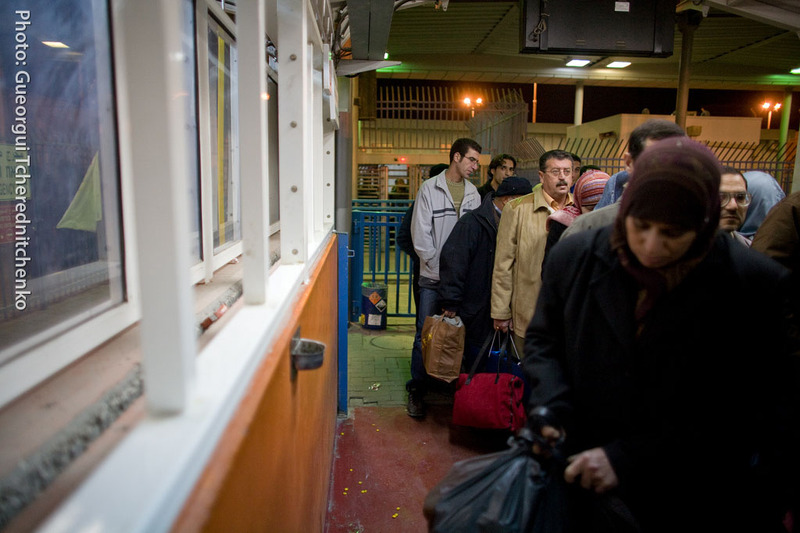 This case exposes the racism embedded within Israeli ideologies and institutions, and raises important questions regarding the status and definitions of refugees in Israel. The above-mentioned ideologies enable the manifestation of a mundane, taken-for-granted “everyday apartheid”. Poorly understood, the mundane is highly significant to the maintenance of apartheid’s architecture. For example, Amira Haas writes how “hundreds of thousands of perfectly normal Israelis who are not violent at home are partners in the mission of administering, demarcating, restricting and taming the other society while cumulatively damaging its rights, welfare and well-being.” Rashid Khalidi places this in the context of Israel’s “settlement-industrial complex”; in addition to the over half million Jewish settlers in the West Bank and East Jerusalem, this includes “the hundreds of thousands in government and in the private sector whose livelihoods and bureaucratic interests are linked to the maintenance of control over the Palestinians”. Insulated pseudo-European realities (or “bubbles”) permit a majority of Israelis to live prosperous lives relatively ignorant of the colonization and ethnic cleansing of Palestine. They enable Israelis to go to work, shop, take care of their families, and enjoy the luxuries of the first world without sensing they might be nested in the architecture of apartheid or contributing to its perpetuation. As indicated in this piece, apartheid today is far more sophisticated than that experienced by South Africans; several South Africans have themselves pointed this out, including Desmond Tutu. Because significant aspects of apartheid remain underexplored, notably its architecture and the mundane aspects of its ideologies, the success of policies and strategies seeking an end to Israeli apartheid may be limited. The above discussion is only a preliminary attempt to explore the physical, architecture, and ideological nature of Israeli apartheid. Incorporating these into an integrated approach for understanding Israeli apartheid may help in strategizing its dismantling. For example, in dealing with the ideologies of apartheid, it may be more important to understand how Israeli Zionists come to distance themselves from the propagated fear and demonization of Palestinians. To date, rather than seek an understanding of Israeli cognitive shifts, attention has focused on the processes of indoctrination employed by agents of Israel (such as education, military training, mass visits of Israeli students to Europe’s concentration camps, and programs like Birthright). The experiences of Israelis and western Jews who come to reject ideologies of fear and racial superiority for those that promote equality and human rights must be better understood. What are the conditions that enable Israelis or European and American Jews to choose to disassociate themselves from the ideologies of apartheid? Perhaps it is enough to experience different values, to have space and time for reflection, or be exposed to alternative narratives and realities (such as meeting Palestinians or Israelis who refuse to serve the occupation). Perhaps it is enough to find a means to communicate a shared vision ensuring equal and democratic rights regardless of a one, two or other-state solution. Moreover, it may be valuable for a community of like-minded people to demonstrate paths to new ways of thinking. Whatever the mechanisms, messages able to disarm apartheid’s ideological basis must be explored and spread to the Israeli public. These should allow for widespread critique of those ideals that legitimate apartheid’s physical and architectural dimensions without evoking fear. This is a key challenge for the BDS movement: Israelis and supporters who do not fully comprehend apartheid, or have been engrossed in ideologies of Zionism and fear, will default to a defensive position without considering the value and importance of boycott strategies. The increasing numbers of Israelis and Jews who are distancing themselves from Israel’s oppressive politics is extremely encouraging and important. These significant trends suggest that ideological transitions are entirely possible and must be better understood. Different communities may be better suited to understand and initiate such changes. For example, progressive Israelis and Palestinian citizens of Israel are intimately aware of the various ideologies Israelis hold. Elsewhere, Christian Palestinians and progressive Christian movements can work to cultivate and communicate alternatives to Zionist Evangelicalism. As we have seen in recent years, Jewish movements are organizing to effectively contest the influence of the Israeli lobby in the U.S., EU, and Canada. Again, the above transitions away from the ideals of apartheid are possible when ideology is brought into conscious critique. Of course, there are limitations in evoking ideological changes, in particular where people are embedded in cohesive ideology communities (such as settlements). Further, where identity defines itself through ideology people will be hostile to alternative ways of thinking. Thus, supporters of Israeli apartheid who take Zionism as a taken-for-granted ideal will not be easily convinced otherwise. In such cases, encouraging alternative ways of thinking is perhaps best left to those who have themselves undergone the journey. It is also important to challenge the subsidies that permit apartheid to thrive. On the topic of apartheid’s subsidies, U.S. military aid to Israel is the most significant: from 2009 to 2014 the U.S. was set to provide over $30 billion in military aid to Israel. In addition to U.S. aid to Israel, over $8 billion in international aid has been distributed to the Palestinian Authority post-Oslo. Much of this is intended to build Palestinian Authority capacity, promote development, and deliver humanitarian relief. However, a significant component of aid to Palestinians contributes to Israeli economic growth, thus creating multiple layers of dependency that serve to reinforce the apartheid status quo. Though President Obama may have reassured Israelis of unconditional U.S. support, strategies must continue to challenge apartheid’s subsidies. The sheer size of direct and indirect U.S. aid to Israel is tremendous; without U.S. support Israel could not remain an apartheid state. Finally, the Palestinian people’s embrace of counter-ideologies is a major source of strength for dealing with the three dimensions of apartheid. These include: diverse forms of resistance, return, homeland, nationalism, survival and sumoud (steadfastness). Because ideology divides as much as it enables, Palestinians must continually embrace ideologies that celebrate culture, land, freedom, equality and the justice of return. The Palestinian narrative is one means for reaffirming and communicating positive life-giving ideologies, as such it must be reclaimed and embraced. The South African boycott, divestment, and sanctions movement, initiated in 1960, exerted tremendous pressures onto the apartheid regime and hastened its collapse in 1994. But apartheid in South Africa was not brought down by these measures alone. International solidarity and isolation was but one of four key pillars of the anti-apartheid struggle, the others being internal resistance as well as underground and armed struggle. Thus, while the Palestinian BDS movement will undoubtedly remain a significant strategy for defeating Israeli apartheid, alternative strategies for combating apartheid must be reinforced (such as grassroots struggles and the youth movements) and new approaches developed. To support such actions the complex matrix of physical, architecture, and ideological elements of Israeli apartheid must be better understood: doing so will expedite its collapse. For an introduction to the subject, see: Ben White (2009) Israeli Apartheid: A Beginner’s Guide, London: Pluto Press. Al-Shabaka Policy Advisor Samer Abdelnour is an academic and activist. He co-founded Al-Shabaka in 2009 and served as a founding board member until 2016.